Highlite DMT did introduce a new ArKaos Kling-Net Dance floor at Prolight+Sound 2012. The Kling-Net devices on the video are driven by ArKaos MediaMaster using Kling-Net to distribute video to the LED devices. It’s always a cool moment when you can grow your team and make some place for new employees in the company. Looking for developer is a difficult task, I always say, and I am proud of, we are an atypical company. First we try to be as agnostic as possible regarding as many technologies as possible. We are cross platform, we talk to many video APIs and we sell from very inexpensive product to customized and very powerful hand crafted servers. Also important to ArKaos is what I call our Punk mentality. We don’t expect others to help us, to be self-sufficient is very important. It’s normal to want to do things that no other have ever done, just expect a lot of problems and expect to fail many time before you eventually succeed. We write code not to make our life easier but to use the least possible memory, the least possible bandwidth from the disk and to avoid unnecessary decencies from the operation system. The world of real time video is a fascinating one; so many people did not yet perceive the potential of creating perfectly synchronized audio visual performances. So many things are still to be created and defined. It feel hard for me to write that because I started creating real-time video tools at the beginning of the 90s… 20 years ago. Just look at the different VJ applications or at the different media servers used by the lighting industry, they are very different tools that can be used to create amazing real time audiovisual performances. The last important thing is our social behavior; we are a software company that likes a lot to speak with hardware companies. You can only do that by spending a lot of time networking during many exhibitions, building friendships and trying to convince companies, sometime much bigger than you, that a collaboration is always the way forward. During our history we did forge many alliance that helped promote the concept of real-time video performance. We contributed significantly to what you see today when you go to a concert and enjoy a nice moment. You don’t go to an event to just “listen to music” but to “see a nice concert!” Right ? In Belgium in selected places we have switched to VDSL2 with the promise of higher bandwidth and extended services such as IPTV. …. follow many lines of table data…. And there the BBox2 is dead, you can still surf a little but you can’t read your mail (it needs a new port), and you can reboot the BBox2. At that time I also discovered that you could simply log to the modem and type “fw_restart”, this restart the firewall and reset the translation table. Be aware that when you do that you will close any active connection. So don’t do that while downloading that 300 MB update file 🙂 So it was at least a solution but still a pain because I can’t learn my princess to log via telnet to the modem to type “fw_restart”, she is a geek but not at that point. I then investigated replacing the BBox2 by a compatible modem, the sales person at MediaMarkt told me wrongly that an ADSL2 modem would work for me. 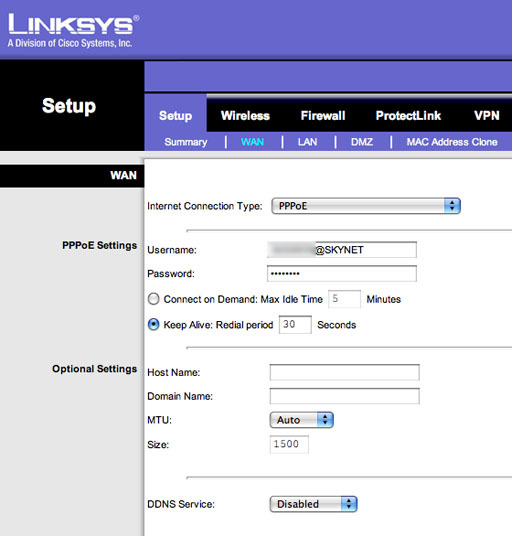 So I bought a linksys ADSL2 modem and tried to connect it with no luck. 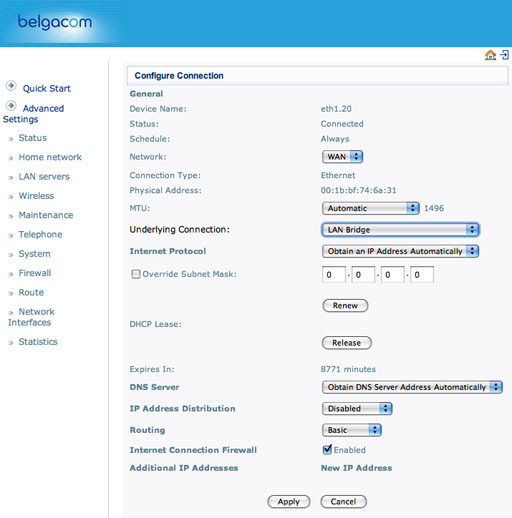 After yet another phone call to the Belgacom support I understood that I could not have any other VDSL2 modem than the ones from Belgacom. The worst is that you can’t even switch back to ADSL, once you are in VDSL you have to live with that. At that point in time I also knew after trial and error that the problem on my network was coming from my Dreambox, it’s my satellite receiver. It’s basically an embedded linux system where you can run many applications. The source of my problems is that I run there 2 applications : NewCS and CCcam . To keep on decoding most channels I need those to be connected on the internet. The strange thing is that with the previous ADSL modem the traffic generated by my Dreambox never created any problems. 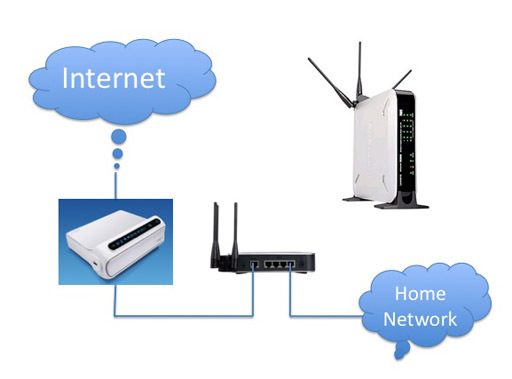 After reading on the forums of forum.adsl-bc.org I decided to try to put the BBox2 in bridge mode. When you put the BBox2 in bridge mode you basically turn off everything except the modem. 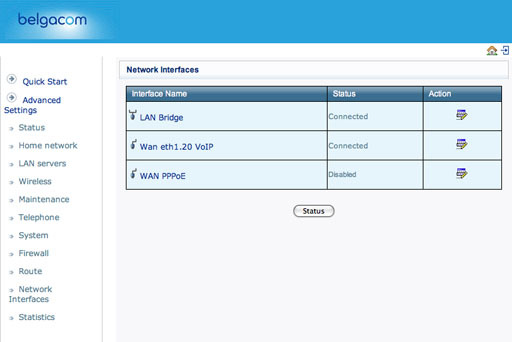 In bridge mode you switch off the firewall, router and wifi. I decided to replace all of this with a high quality router, the WRVS4400Nv2 from cisco / linksys. 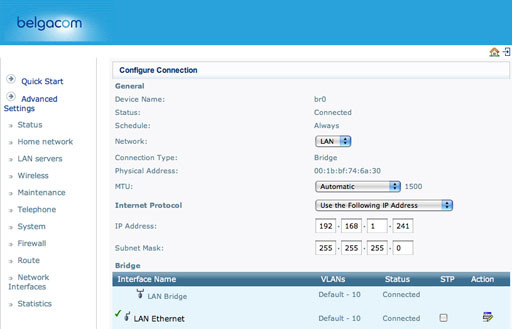 Make sure that the underlying connection is set to “Lan Bridge” and click apply. Once you set the new IP click on apply. That’s it your BBox2 is on bridge mode. And click on the save settings. You should now have a working setup. Since I have done that I have a working and stable internet connection with close to 20 Mbps download and 1 Mbps of upload, much better than the old ADSL connection. It’s too bad you have to do all of this if you want to run servers at your home place! 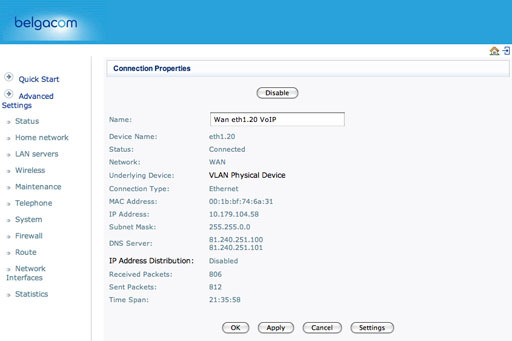 So if you have a Dreambox and want to switch to the VDSL2 in Belgium use this information to have a working a stable setup! 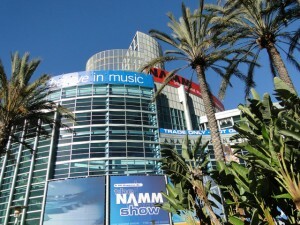 We are at NAMM with ArKaos to meet various friends and partners. I was happy to see back Christophe Martin. Christophe did help us a lot in the history of ArKaos, he is the one that got us working with Jean Michel Jarre more than 10 years ago. 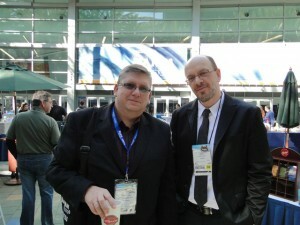 And since then he never miss a release of our products and make articles in the French magazines where he is reporting. 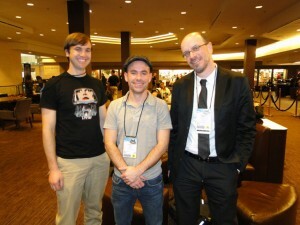 We also met the team of Living Instruments, we like a lot their Ohm64! Here is a quick video I made where you see some news including Rane SIXTY-EIGHT Mixer for Serato Scratch Live -> 4 Virtual Decks in Scratch Live! I was also very impressed by the kids of Rock nation school, they played at the Hilton. The played tunes from RATM, Metallica, Motorheads… not bad for kids between 9 to 14! Our goal at ArKaos is to build a new range of products based on such architecture but we want to move forward step by steps and the first public step will be a simple interface to drive a limited pool of players connected to the same network. Here you can preview what will look like the interface. This application is not even alpha code but I am happy to share it with those of you that are curious. I used the opportunity when working on this project to experiment with the cocoa tools of Mac OS X. I am a big fan of cross platform programming and I worked with wxWidgets since a few years. Unfortunately because Apple did obsolete carbon we are now looking for new ways of creating our interfaces. I am happy that just within a few days I was able to create this already complex interface without writing too much code. In the end it’s true, interface builder rules and cocoa is a great idea! Ok now to my prototype, the application is still useless but it demonstrate how to write a simple cue player. You can create list of events (cues) and assign them to computer keys. Then the idea is that when you will press those computer keys those players listening to the network events will start playing those video loops. – importing static pictures to the cells on the left by drag and dropping from the finder. – playing with the + / – buttons of the cue editor to add and remove steps of a cue. – drag and drop visuals from the left cells to the cells of a cue. – you can edit the layer position, start time and duration of a cue step. You need at this time to use the enter key to validate a new time or duration. 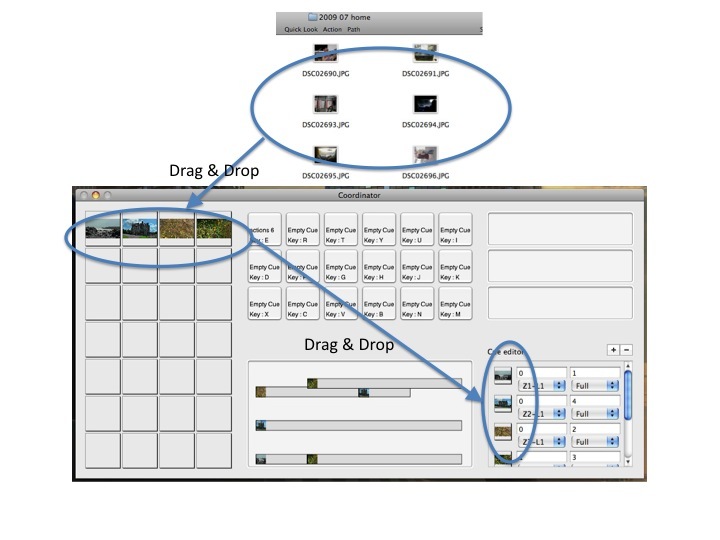 Just drag and drop a few pictures on the left cells, create a few cues steps with the + and – buttons. The final prototype will be able to play movie loops across 3 zones of maximum 6 projectors. It will be possible to stack 4 layers of visuals on each zones. This is why by example the popup says z1l1, it means zone 1 layer 1.